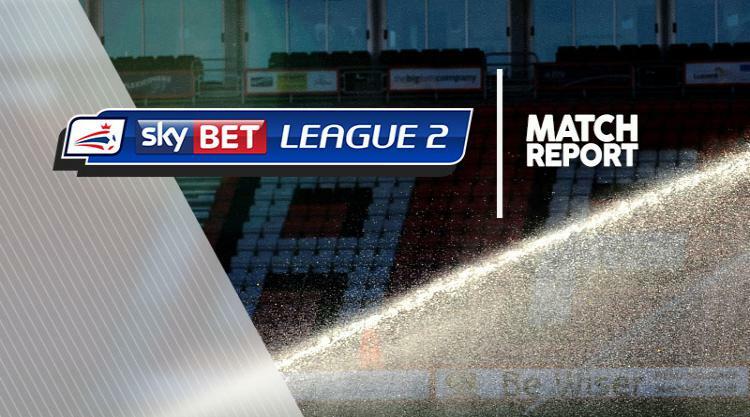 Plymouth were forced to put the champagne on ice after being held to a 1-1 draw at promotion rivals Portsmouth in Sky Bet League Two. Jake Jervis headed Argyle into an early lead at sold-out Fratton Park but Gary Roberts' second-half equaliser earned Pompey a draw. With the game kicking off half an hour before the other League Two games, Plymouth fans faced an anxious wait to see if their side had done enough to win promotion but Luton's 2-2 draw with Leyton Orient meant they would have to wait for at least another week. The away side could have been a goal up after two minutes when David Fox's powerful effort was blocked following a good run and lay-off by Matty Kennedy. Minutes later third-placed Pompey were claiming a penalty after Roberts was knocked down in the area but the referee waved play on. Argyle's opener came in the 12th minute when Jervis headed Gary Sawyer's whipped cross past the out-stretched arm of David Forde to score against his former club. Pompey levelled in the 57th minute, Kyle Bennett's cross caused Yann Songo'o and Plymouth goalkeeper Luke McCormick to get in each other's way and Roberts was there to tap in from close range.